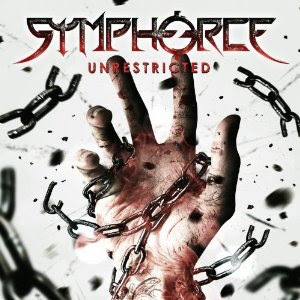 Hall of the Mountain King: Review: Symphorce, "Unrestricted"
Fans of Symphorce are likely to be split on their latest record, Unrestricted. The album moves the band farther away from the progressive and symphonic elements of their earlier work and puts more of a straight-ahead hard rock spin on their sound. Album opener “The Eternal” gives us a dark piano intro that sounds promising, but quickly moves into a groove-driven traditional metal/hard rock guitar riff. I like it, since I happen to be a fan of groove-driven hard rock, but those looking for the band’s old sound will likely be disappointed. “Whatever Hurts” takes the shift a step further, opening with a very 1980s hard rock influenced guitar riff. Vocalist Andy Franck also uses a more restrained vocal style on much of the record, particularly on this track. 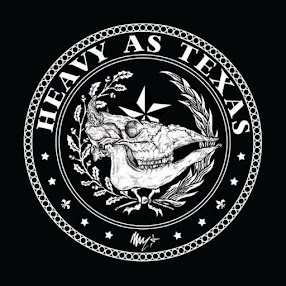 There’s a Nevermore-ish bent to “Whatever Hurts,” and his vocals sound a bit like a cross between Warrel Dane and Dave Mustaine. A huge memorable chorus on the song should win over just about any fan of melodic metal, though. There seems to be a very heavy Nevermore influence coming through all over this record that I don’t recall from the band’s earlier efforts, though I will admit that it’s been a while since I listened to them. It’s particularly noticeable on tracks like “Visions” and “The Last Decision,” though the latter features an interesting vocal from Franck that has more than a little Bruce Dickinson in it. The record shifts back more toward the expected sound with “The Waking Hour,” the first true power metal number here. Franck’s vocals soar back into their normal range for one of the best tracks on the record. Toward the end of the record, the songs start to weaken. “The Mindless” is a fairly boring track that uses sound bytes from Sept. 11 and finds Franck doing more of a spoken vocal delivery on the verses. It’s also one of the least interesting choruses on the record, and it just doesn’t work over all. “Do You Ever Wonder” and “Until It’s Over,” just don’t seem to have the impact of the earlier tracks, and they’re certainly not nearly as memorable. “Sorrow in Our Hearts” has kind of an alternative feel on the chorus that’s not quite as cool as it could be. Regardless of what you may think of the sound shift, guitarists Cedric “Cede” Dupont and Markus Pohl certainly haven’t lost anything as they deliver huge riff after huge riff. Unrestricted should be a bit of a hit with fans of big guitars with crunching grooves, and, at least the first half, has something to offer for hard rock fans. Sadly, though, many Symphorce fans will probably be left listening to “The Waking Hour” and not much else.